Time for yet another empties post. These are so much fun to make because it give me an opportunity to write about my experience of all the products I’ve finished. So these are the latest ones! 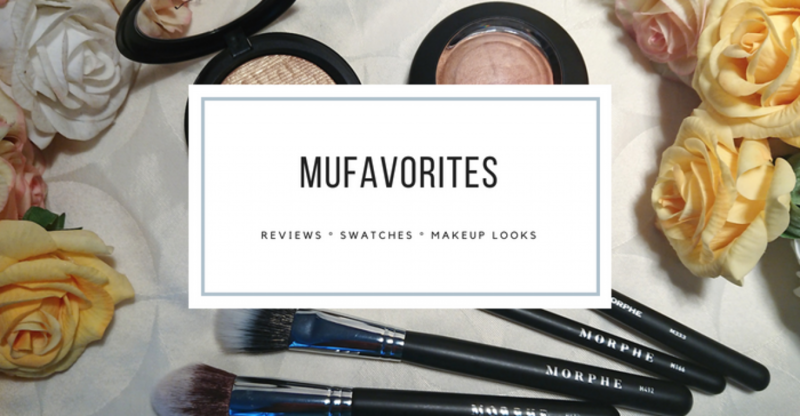 This time we have a good mixture of old favorites, holy grail product and a few things that just did not work for me. #114 Prettysmooth Intensive Body Moisturiser Aloe Vera: I am always on the hunt for good but affordable body lotions because I go through them so quickly. So I decided to pick this up because it cost very little, and I usually like the mild scent of aloe vera in body lotions. This one was just OK. I felt like it was maybe a bit less moisturizing than what I prefer so I probably won’t pick up this again. On the other hand it was absorbed quickly into the skin and felt nice, so if you are not in that much need of a heavy skin moisturizer this may be just good enough for you. Personally I will probably reach for something else next time I am shopping. Not bad, just not what I am looking for. #115 Redken Frizz Dismiss Smooth Force Leave-In Spray: I don’t know how may bottles of this one I’ve picked up so far, but you have probably seen this up to several times if you have been reading some of my other empties post. This is a holy grail and it does wonder to keep my curls unfrizzed but still not being too heavy. Perfect for everyday use. I already have a new bottle opened and a backup in the mail. I need to have a bottle of this at any time. Big big favorite! #116 LUSH American Pie Shower Jelly: This was kind of an error. I love the American Cream conditioner from LUSH, and I thought this was a shower gel with the same scent. It does have the same delicious scent, but this is one of their shower jellys. I find it a bit clumsy to deal with compared to a liquid shower gel. I love the scent, and it gets the job done, but it’s just not my favorite way of using soap. I don’t even like to eat jelly that much. #117 House Of Gloi Pumpkin Butter – Insalata Nocturna: Off course I love this one. I have an army of House Of Gloi Pumpkin Butters in my bathroom and this scent has been a long time favorite. I have a small stash of this scent since it’ limited too their summer scent collection. I have been loving these pumpkin butters since the first time I tried them back in 2012 I believe. I will always always keep buying these. #118 ELF eyebrow pencil – This one was a miss. Really waxy and not so pigmented. The packaging is flimsy and cheap and the cap covering the spoolie broke in no time. Will not repurchase. #119 Rituals The Ritual of Dao Body Cream – The body cream form Rituals are really nice. The packaging is big and luxurious and the cream itself gives a lot of moisture without being sticky. It sinks into the skin nicely. Just a great quality cream. The scent is nice and fresh. I may repurchase this one, I will definitely repurchase this cream in other scents (Happy Buddah is my favorite). #120 Rituals The Ritual of Dao Foaming Shower Gel – I love these shower gels form Rituals. I have two other scents standing in my shower as we speak. It gives such a nice luxurious foam. The only downside is that they run out fairly quickly. I will for sure pick up these again, but maybe not this scent. Not because I don’t like this one. It’s simply because I like some of the other scents more. I don’t know if I have mentioned it, but I had kind of set me a goal to finish 200 products this year. I feel like I go through products quickly, and I feel like I always am a bit behind on writing these post because I constantly have a small pile of empties laying around. Still I am not sure if I will make it. But all hope is not out and I still have a few more months left to try and reach my goal. Did you finish anything fun lately? Makeup and beauty hauls – September 2018! Zoeva Eye See Eyeshadow Palette – 4 Makeup Looks! I just ran out of my Biosilk leave in hair conditioner so I ran out an got the biggest bottle they had! I can’t live without it! Wow that’s a gear goal! My goal this year was 100 products, so I’m super impressed. 100 is very decent for sure ☺️ I don’t think I will reach my goal, but hopefully I won’t be too far off.